To keep your business successful, you need to keep it looking its best. Unfortunately, all your efforts to maintain a beautiful business could go down the drain overnight if someone decided to turn your commercial property into a canvas for their graffiti art. Fortunately, you can have that eyesore undone by getting a professional graffiti removal. For a thorough graffiti removal in New Jersey, you need to leave the work to AAA Pressure Wash. Our pressure washing professionals have the experience and the equipment needed to quickly and completely remove any unwanted graffiti from your commercial property. In the business world, appearances are key. They help to attract new customers, and they can help to keep your employees feeling happy, energized, and motivated. So, you’ll want to keep your New Jersey business looking its best – a task which can be made difficult should your business be the target of graffiti artists. If you want to regain your business’ curb appeal and the benefits it can bring, you need to call our New Jersey pros for a graffiti removal. In no time, we’ll have your business looking its best so it’s equipped to be a complete success. 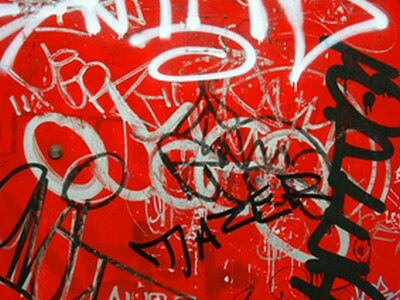 When graffiti shows up on your commercial property, you’ll surely want it gone quickly and thoroughly. Unfortunately, if you tried to handle that work yourself, you might be frustrated, as you may not have the equipment or expertise to get the quick and thorough results you’re looking for. To get that quality of work, leave your graffiti to us. Our pressure washing pros can remove unwanted tags from your business in little time. We can then get your business looking even better with our commercial building cleaning service. Call us today if your property needs any exterior cleaning work handled. If you are looking for a Commercial Graffiti Removal service in the Northern New Jersey area, please call us today at 888 – 857 – 5441 or complete our online request form.